When targeting a certain fish, whether it be bluefin tuna, yellowfin tuna, dorado, white sea bass or yellowtail, “Plan A” does not always go as planned. Therefore, it’s important to always have a “Plan B”. Sometimes Mother Nature simply does not cooperate, holding you back from making the long run to your desired fishing grounds. Other times, it’s the fish that are finicky and they just don’t want to eat. In either case, a great way to salvage your day, or even enhance it in many cases, is through bottom fishing. 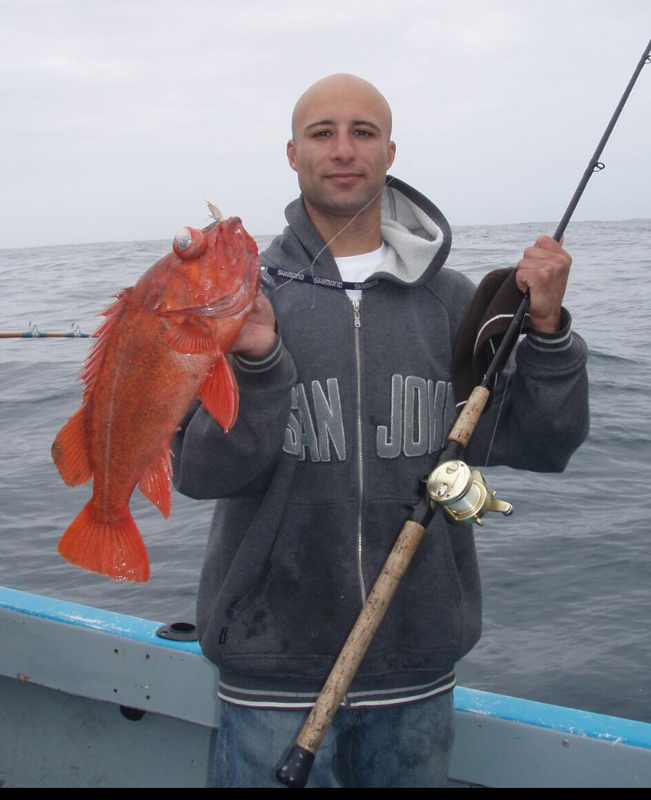 Depending on where you are fishing along the California coast, the season usually opens as early March 1st and goes through the end of the year. With all the species that we have in California, the options are phenomenal. 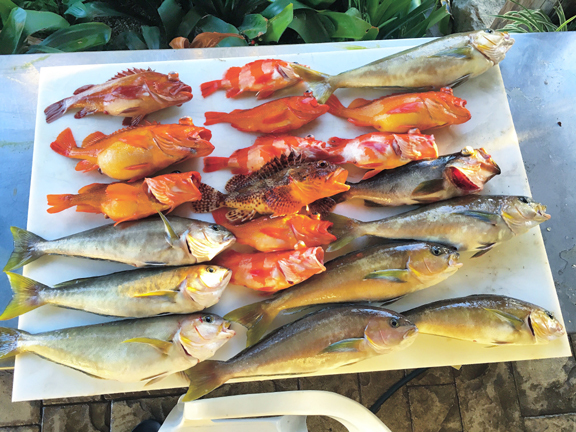 Not only is there an array of different fish to target, there are so many ways to target each fish. One of the staples in our West Coast fishing world, from south of the border all the way up to Oregon is bottom fishing. 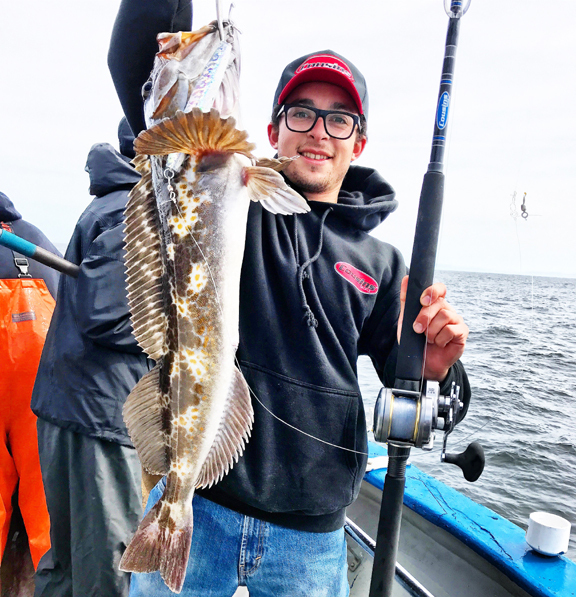 From rockfish to ling cod, to everything in between, it’s a great way to get beginners and kids hooked on fishing, and it is still quite enjoyable for the avid fisherman. The majority of the bottom fishing that I’ve personally done, has been in San Diego and south of the border. However, this last year or so, I’ve put in a good amount of time in Northern California, primarily off coast of San Francisco. Regardless of where you are on the coast, there are many crossovers in the techniques of targeting these bottom dwellers. My preferred way to target the larger models is either with a heavy jig or a heavy bucktail. Depth and current will dictate how heavy of a lure you will use. When fishing at a depth of 200 feet-300 feet, a 2 ounce or 3 ounce lure just won’t cut it. In this situation, you need to go to a 10 ounce to 14 oz jig. There are numerous options out there for this but my preference is from SPRO which makes a great bait called the Prime Bucktail Jig. It comes in a variety of sizes and colors, up to 8oz. They also make a Squid Tail Jig, that is a deadly bait for shallow water bottom fishing, also offered in a handful of colors, up to 3oz. Both the Bucktail and the Squid Tail come in glow in the dark colors, which can be killer and set your apart from the next. Additionally, P-Line makes a great Chrome Jig, as seen in the photo below. It’s perfect for getting to the bottom as fast as possible, even in deep and rough seas. These range from 8oz to 16oz. Another method, one that will typically out-fish the former in terms of quantity and numbers, is a dropper loop with two hooks. In Northern California, they will typically fish two shrimp flies, and tip them with strips of squid, whereas down south, we often fish bare hooks with strips of squid. Both methods will work in either location. With all that said, all of the tips and advice provided above, is nearly useless information to know if the following is not done. Keeping your bait on the bottom. Many times, the is the sole difference between getting bit and not getting bit. If you “can’t keep you bait on the bottom”, chances are you are fishing too light. The solution to this is simply a heavier weight to keep your bait down on the bottom properly. 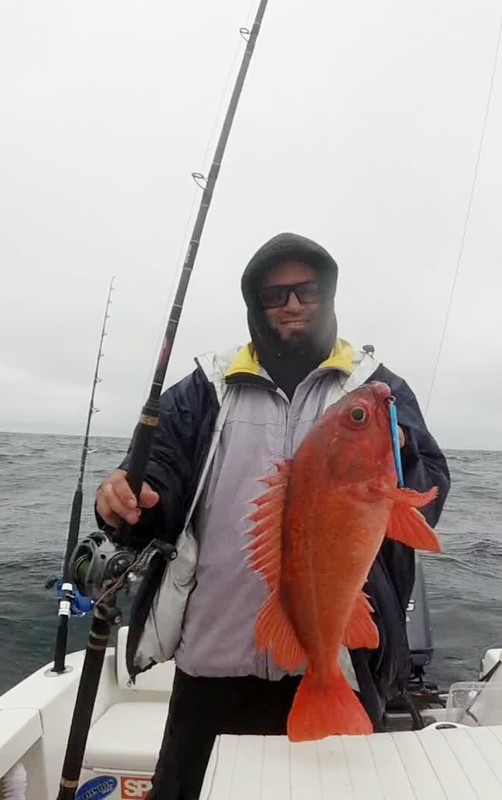 The amount of different rockfish is mind boggling, and they have equally as many nicknames. 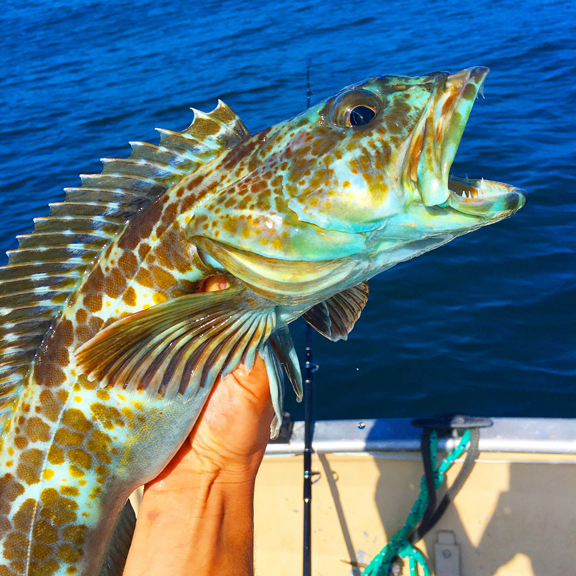 The following list includes many but not all of the most commonly caught bottom feeders; Boccaccio, Canary Rockfish, Chilipepper Rockfish, Chucklehead Rockfish, Copper Rockfish, Ling Cod, Olive Rockfish, Starry Rockfish, Sculpin, Sheepshead, and so many more. Some are better table fare then others, and some are illegal to keep. The limit per angler is 10 fish, with ling cod, sheepshead, and white fish not included in your total, as they have their own respective limit. Therefore, it’s always a good idea to have an identification chart of some sort so you have the ability to differentiate between your various catches. You can find this chart readily available on the DFW (Department of Fish & Wildlife) website. My ideal set up for this is a shorter rod, ideally between 6’6” and 7’6”. However you can absolutely fish an 8’+ comfortably, it just all comes down to preference. The Cousins CJB 75MH is my go to rod for these applications. Its rated for 30lb-50lb line and is a medium heavy. It’s paired with a Shimano Torium 16, spooled to the top with P-Line 65lb XTCB braid. I like to use a short topshot of P-Line’s Shinsei Fluorocarbon, ranging anywhere between 30lb and 60lb. As we get ready for what should be another phenomenal offshore and inshore season, keep in mind that not only is this type fishing great for beginners and kids, it’s also a great way to catch some prime table fare, making for delicious fish tacos.